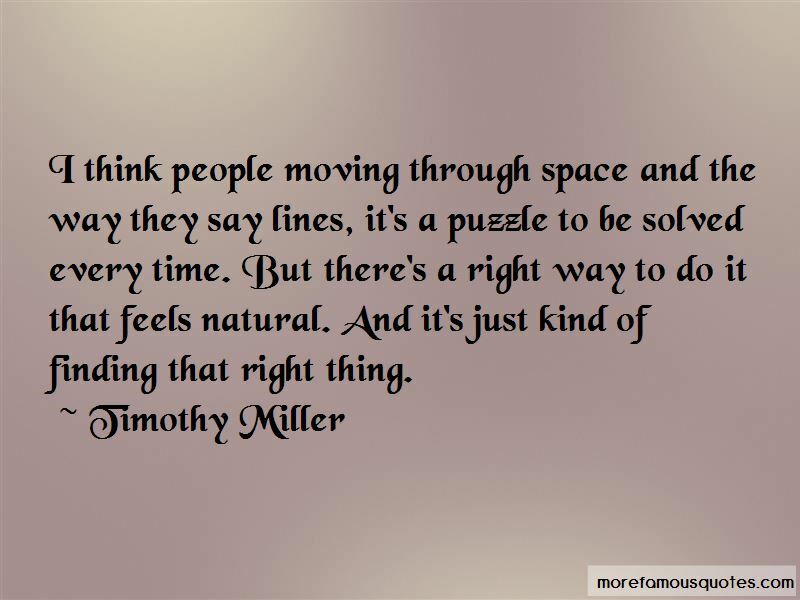 Enjoy the top 27 famous quotes, sayings and quotations by Timothy Miller. Prada makes really nice bags and then somebody in China makes knockoffs. This is the knockoff version of the mutant world. You have Weapon X. you have government spending millions of dollars to make it, and then you have these guys who are making thugs out of people that they pull off the street, or who are damaged, or who have found themselves in terrible positions for some reason. Marvel does a great job of making their characters human. Peter Parker has superpowers, but he still has trouble making rent every month. I identify with that in a way that I don't with, like, Superman, for instance. He's just less interesting because he's too perfect. I mean Dark Phoenix series, the way it was done, they didn't do it justice in the past movies, in my personal opinion. I just like the X-Men universe. There's a little burst of creativity being director followed by lots and lots of meetings and talking to people and more meetings. It's scary. And I can't believe anybody actually lets me do it. But it's going well so far. I think actors, they maybe want more approval than I'm used to giving. Everybody does. Everybody needs a hug you know, all the time. I'm not very good at that. I could get better at that. 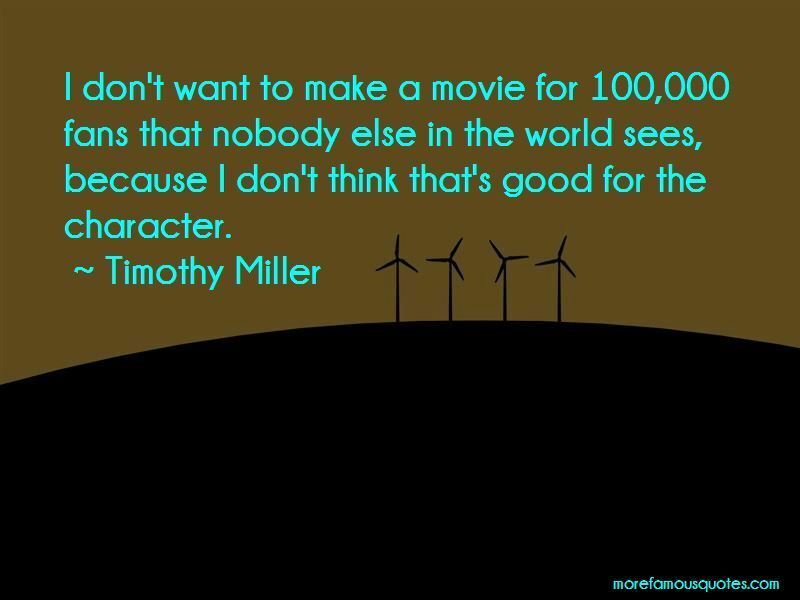 Want to see more pictures of Timothy Miller quotes? 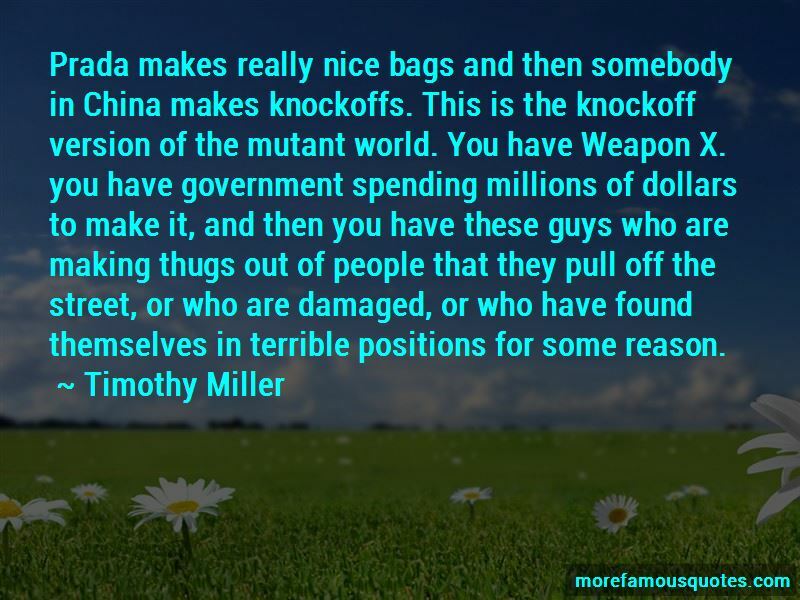 Click on image of Timothy Miller quotes to view full size.